We’d been ruminating about the major life change that comes about when your kids don’t need you the way it seemed they always would. The time when mommy becomes mom, when the bedroom door shuts with a distinct click, when your kid tells you that you wouldn’t understand – and you can’t protest, cuz you know he’s right, you probably wouldn’t. I’d been emotionally preparing for this, so I can’t say it was unexpected. What was jarring was just how blunt my friend had been about it. She went on to explain, “When you’re pregnant, you could have the baby at six months. It would be premature, but it would survive. So the last three months are basically just incubating. And that’s kind of what’s going on now. He has everything on board, now it just has to integrate. So yeah, you’re done.” I knew she was right. But I still wanted to believe that Elihu would always need me. It wasn’t like I didn’t want him to learn how to live in the world without me – but I still couldn’t truly see it happening. His vision issues, his inherent clumsiness… How would he ever live on his own? Then on the other hand he was smart, savvy, full of good humor and common sense. And as we spoke, he was hundreds of miles away in another country. 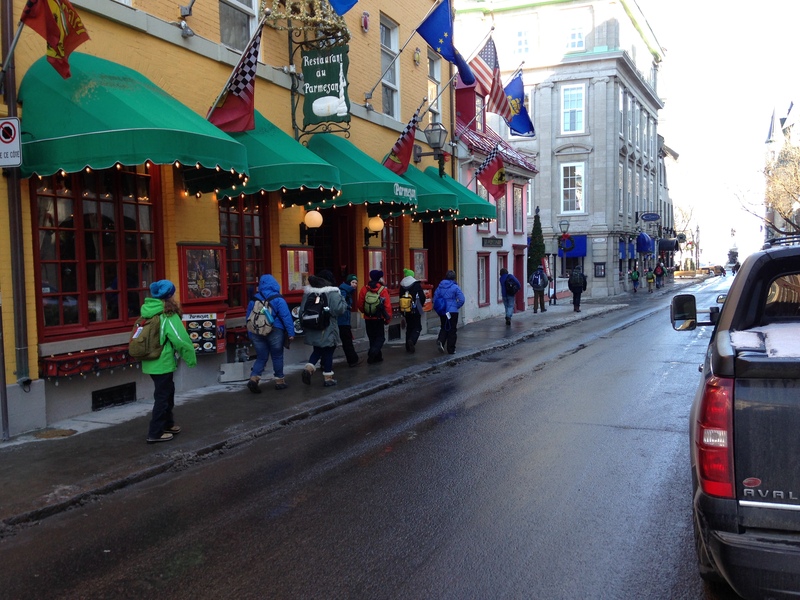 In the Waldorf School of Saratoga Springs, each seventh grade class takes a trip to Quebec as part of their French studies. 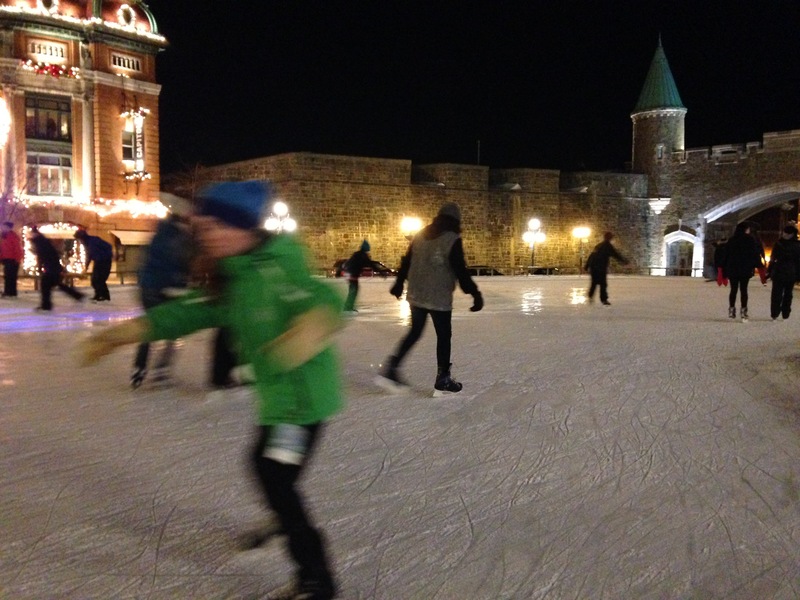 They take the train to the Canadian border, spend a night in Montreal and a day there sightseeing before heading further north the historic town of Quebec City. There they embark, in groups of three, on a day-long quest – a scavenger hunt of sorts – in which they must ask for directions only in French, in which they must budget their money, buy lunch and trinkets as the stash allows, and reconvene with the class when they’ve made it through the list of clues and directions – all given only in French. They sketch monuments during the day, they journal in French in the evening. 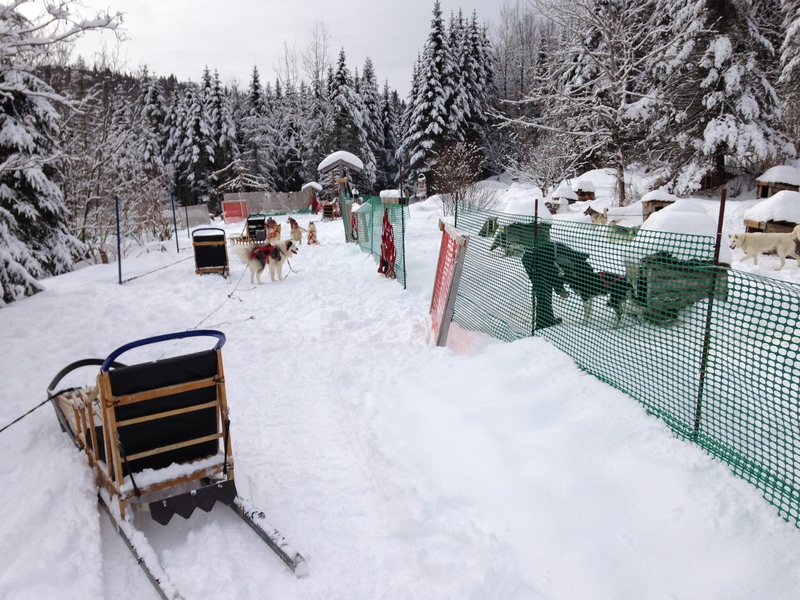 They stay in hostels, schlep packs through the snowy streets, they take a bus into the country, they experience a dogsled ride, they visit an ice hotel. And all the while, the boys and girls flirt, make inside jokes, and test the waters with forbidden swear words and primitive sexual innuendos. Change has begun. 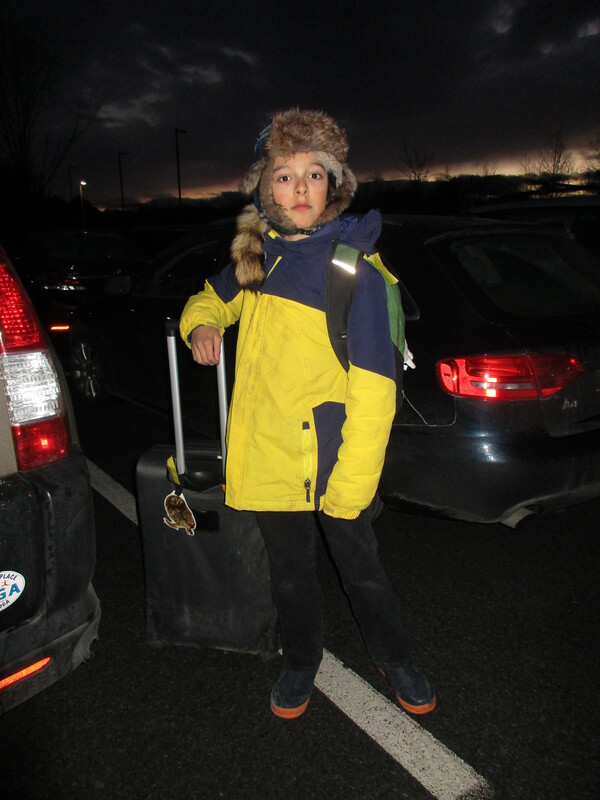 It’s not as if the change hasn’t been taking place up until now – but there is a new awareness that comes of this landmark trip – there’s a certain new confidence in my child, and a certain kind of vision for the future, too. He’s been given a glimpse of what life might be like surrounded by his peers – instead of his parents. And he’s thrilled with the way it feels. Don’t get me wrong – I am positively thrilled for him too. I can’t remember a time when my son has ever been so happy, so exuberant, so proud, so joyful. Truly, no experience in his life has left such an immediate and dramatic impression on him. Even today, two days after his return, his first words upon opening his eyes were about the trip. In his head swirls a great collage of images. For all of this I am deeply grateful, and I’m incredibly excited to see the ways in which my son will grow into a fully independent individual and break away on his own path. I know it’s not around the immediate corner, but it certainly feels much closer than ever before. 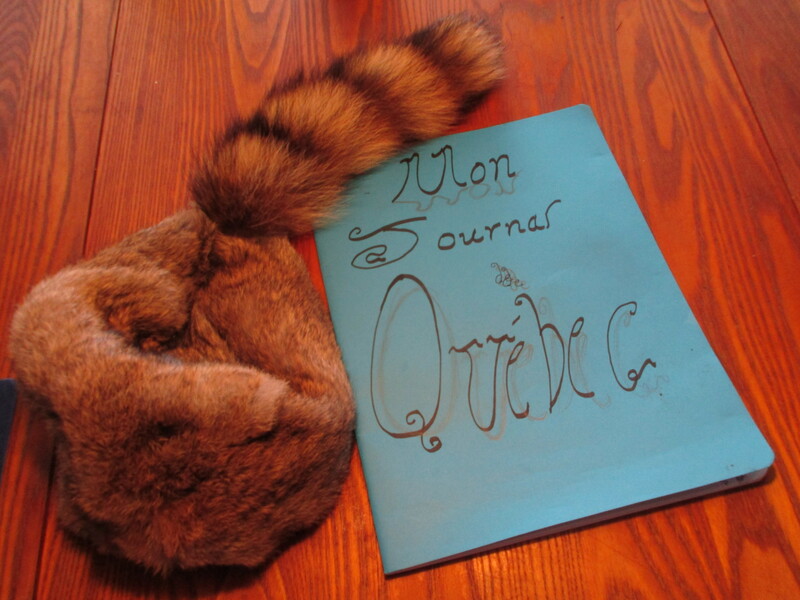 His French journal of the trip – and his new coonskin cap from the dog sledding adventure. 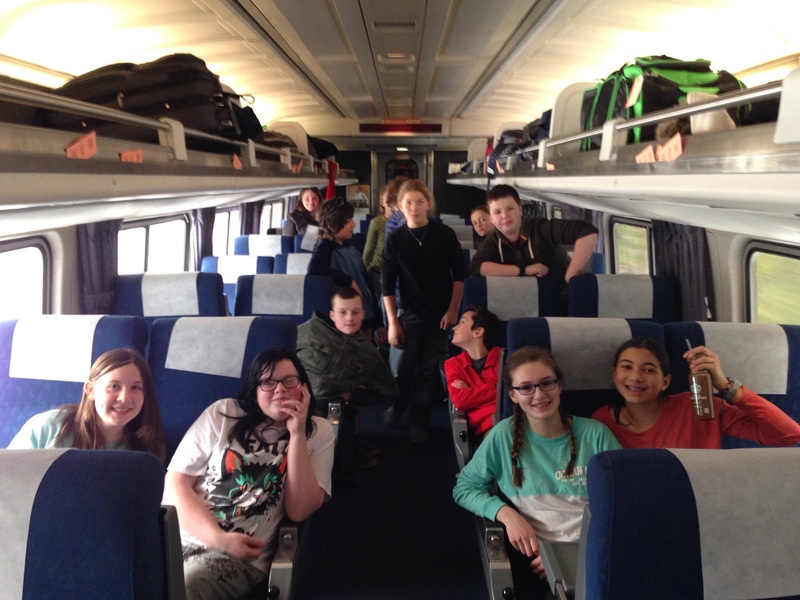 The seventh grade got a train car to themselves. 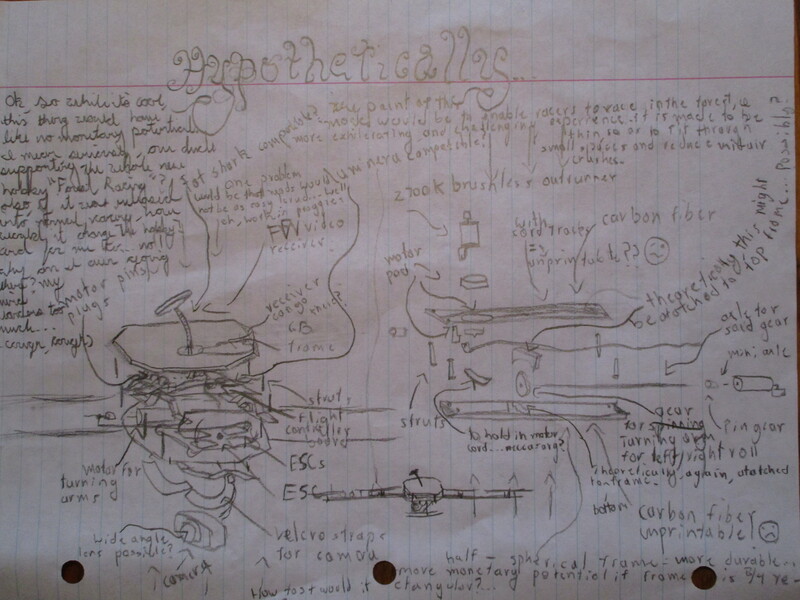 Ever thinking of things aviation-related, Elihu drew a schematic of an RC helicopter en route. 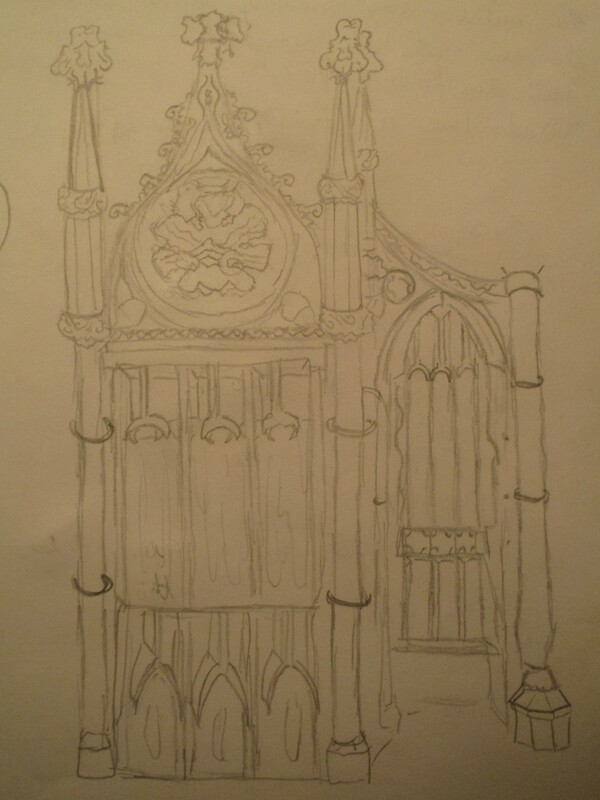 The next day in Montreal, Elihu drew a detail of the interior of the Basilique de Notre Dame. Off they go on their scavenger hunt. 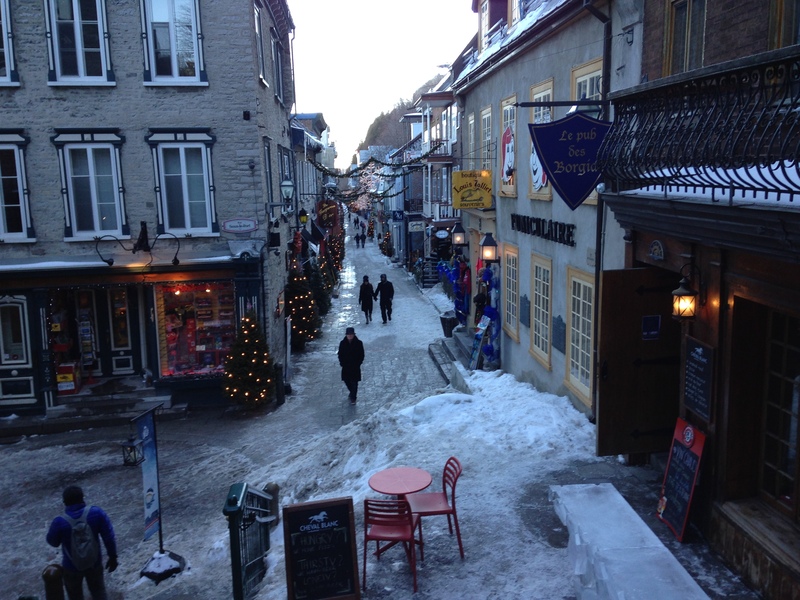 Quebec City really has a European feel. 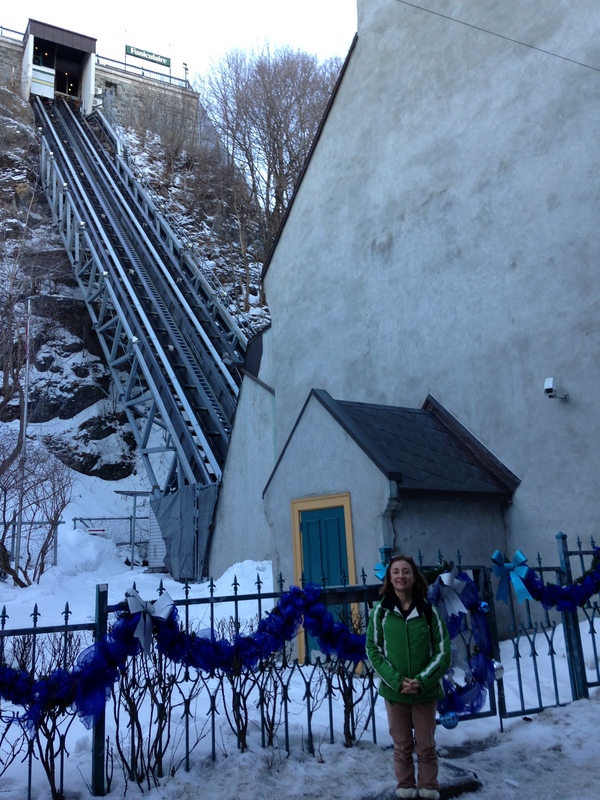 There’s topography which requires a funicular. Fun! 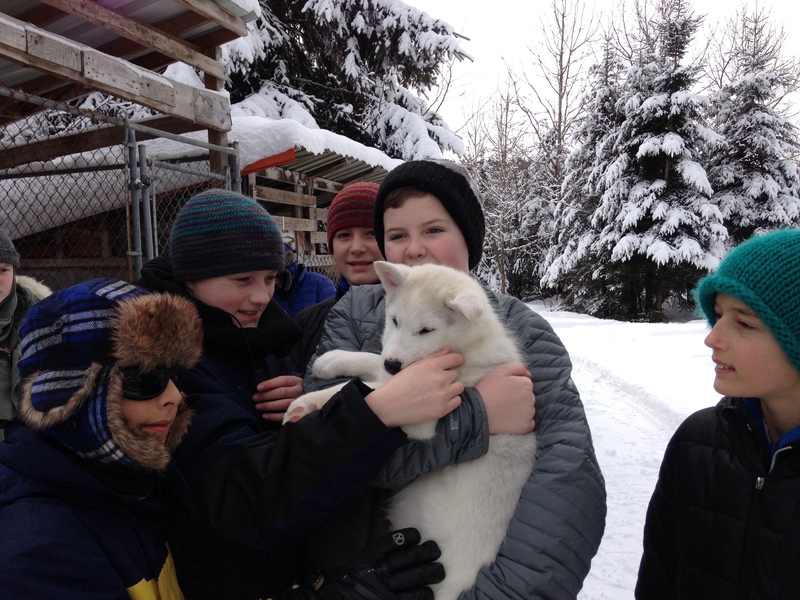 The class went dog sledding on the last day. An intimate, hands-on experience, with just two passengers; one drove, one sat. 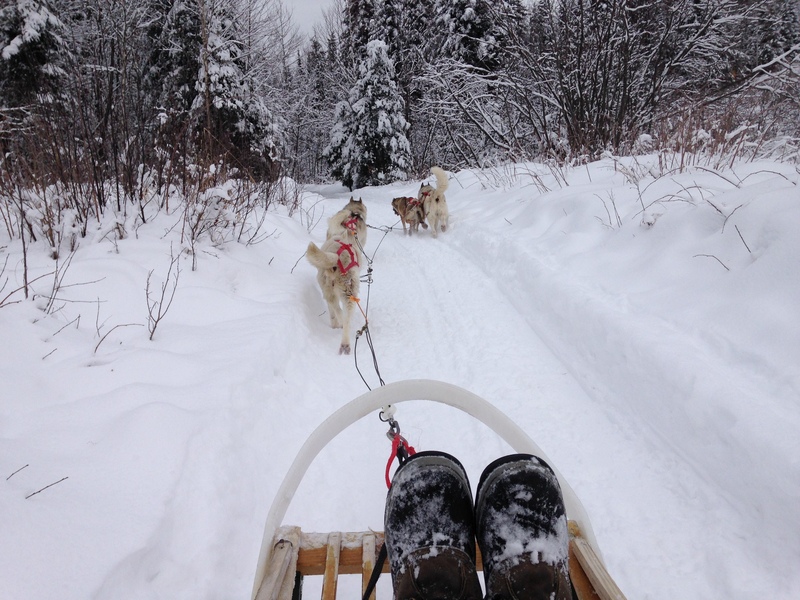 The dogs were raring to go and they sped over the narrow trail through the woods. Probably the highlight of the trip for Elihu. They got to smooch a puppy too! 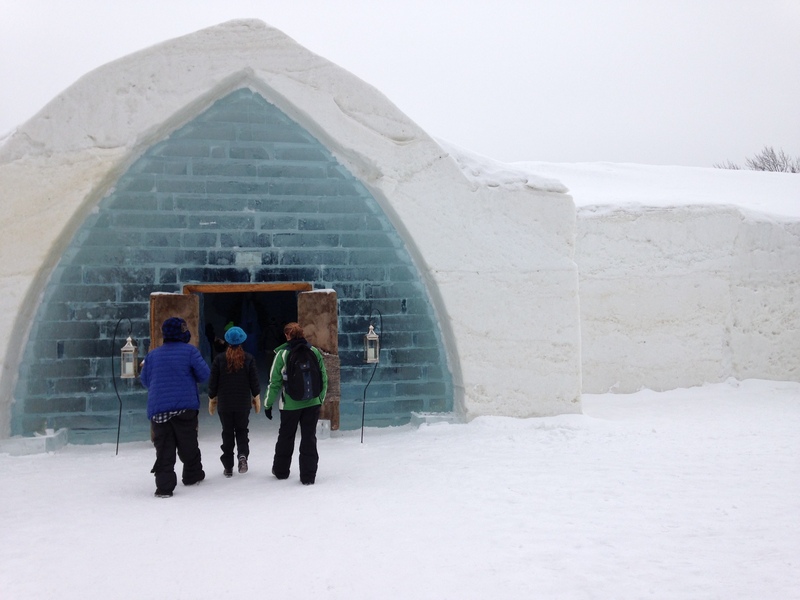 Last event on the itinerary was the ice hotel. 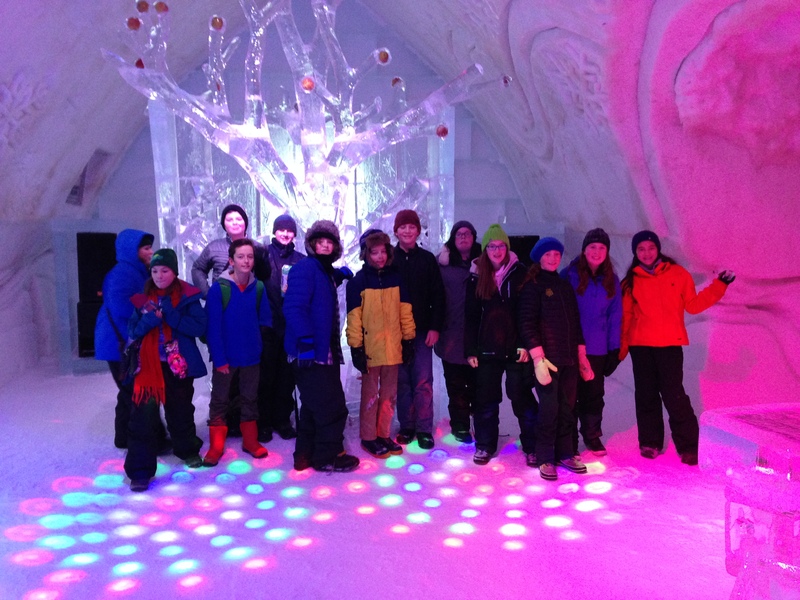 The seventh grade Canadian adventure was a life-changing trip, and a memory which Elihu and his classmates will treasure always. A new young man arrives home.